Welcome to Testing Tips! We regularly post testing tips to help the medical device community with their challenging testing needs by sharing our know-how and lessons learned through decades of testing. If you have a tip you would like to share with us or see in this section, we would love to hear from you! Contact us here! How fast can I run my axial fatigue test samples? How do you use the Amplitude Controller to control a non-linear system? How do you set up the Amplitude Controller? How to verify motion at high frequency? 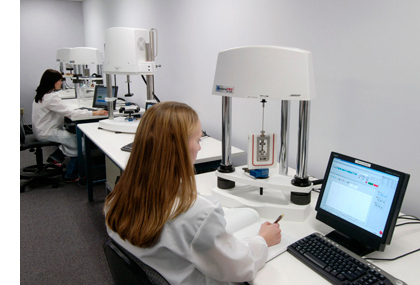 Sample Size: How can you maximize the number of samples you put on an axial fatigue tester? What are Peak and Underpeak Limit Detection? For an axial test do you control the applied displacement to the specimen or the applied load?